SecuraSoft™ NSF to PDF Converter is the most efficient tool to convert NSF files to PDF that carries Email Properties and will not allow any changes to the data. 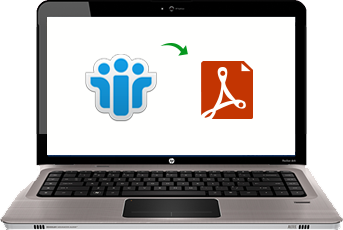 Utilize the benefits of this tool that help you to get rid from Complex IBM Notes. Software converts NSF files to PDF with preserved Meta data & Sequence of Folder. Software efficiently exports Lotus Notes Mailbox into PDF File with all their attachments. NSF to PDF Converter creates a separate PDF file for a single mail so that you can differentiate between useful and unused data. Lotus Notes to PDF software retain all meta information associated with an email like to, cc, bcc email address, hyperlinks, inline images and other formatting etc. So no any original information loss from email. Software convert NSF files to PDF with all attached Meta data like Email Header which is the most important part of any mail. Once conversion is done all the properties like Attachments, Graphics, Fonts will remain as it is. Before Conversion software start the scanning you can easily select the folder which you want to export Lotus Notes to PDF document. On this way you can easily get idea that how your Lotus Notes NSF files will look like in Adobe PDF once the migration takes place. To avoid unused data from conversion, Tool provide a feature of Email Preview through which user can view entire mails with their mail properties and have option to exclude or include from NSF to PDF Conversion via check/uncheck them. Software is designed to provide maximum facility Lotus Notes mailbox into PDF file does not have any issues regarding the compatibility of different versions of Lotus Notes. It supports all popular versions of Lotus Notes and Windows OS. SecuraSoft™ is such a great platform that provides me a powerful tool that converts Lotus Notes NSF file to PDF Format smoothly. Noticeable point is that it creates a separate PDF file for each mail that proves to be a very helpful for me. I am really grateful to your organization who delivers me such a great and efficient tool that eradicates my entire problem in once. Great Work Guys. IBM Notes is a vast application integrated with so many advance techniques; Emailing is one of the small segments of this application. Lotus Notes provide powerful Security feature as compare to other email clients. It creates two file format to store database "username.nsf" and "names.nsf" for address book. PDF (Portable Document File) File is defined by its name itself. When we took the name of PDF first thought strike in our mind is that there are collection of pages comprises in single portable document folder. Its popularity is increased due to its stand-alone file format. It can be easily create, save, print, forward and view anywhere without need of any application. In Case of Professionalism: Let's suppose you are a Manager using Lotus Notes as an email client application. You have offer a brilliant deal and to need a confirmation you have to take print out and Dealer's signature. Now in this critical situation to save lotus notes email to pdf with attachment is the best possible way. In Case of Forensic & Legacy : If you are an Investigator or Forensic Expert handling a case to investigate a client's email and that client uses Lotus Notes for the emailing purpose. For deep investigation you need to view those Emails at your home but to open mailbox of NSF files requirement of Lotus Notes is necessary. Here you can utilize the advantage of Lotus Notes to PDF Document. NSF to PDF Converter is the one and only tool which is meant to Print Lotus Notes document to PDF effortlessly. User does not have to put single effort to do Lotus Notes archive to PDF, just a single click and you are done. To provide maximum reliability to our users is the topmost priority of our services and keep this in mind NSF to PDF Converter is designed. Once you authorized for the license version of tool you can convert limitless Lotus Notes Document into PDF File.